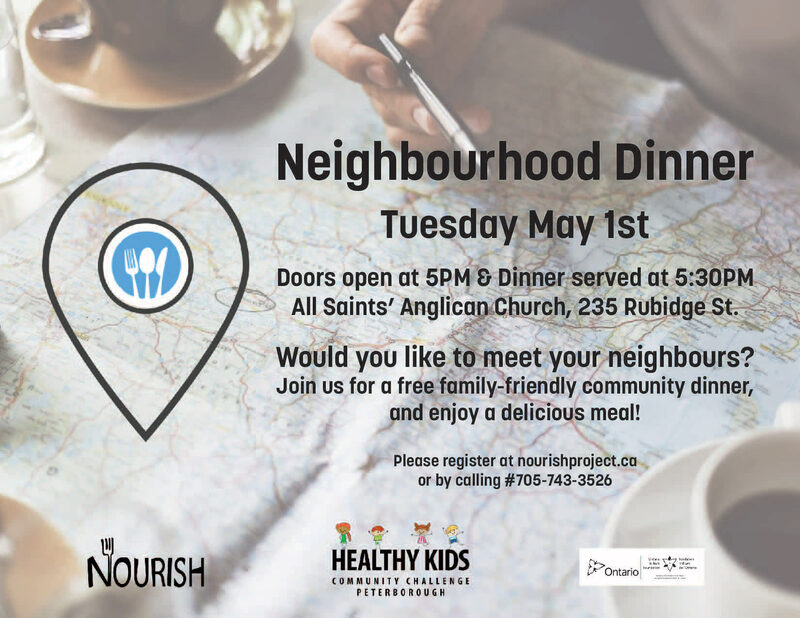 Do you live in the neighbourhood surrounding All Saints' Anglican Church? You're invited to our free family-friendly community dinner! Come meet your neighbours and enjoy a delicious meal!